hd00:16Haircutter male with client child in the barbers. 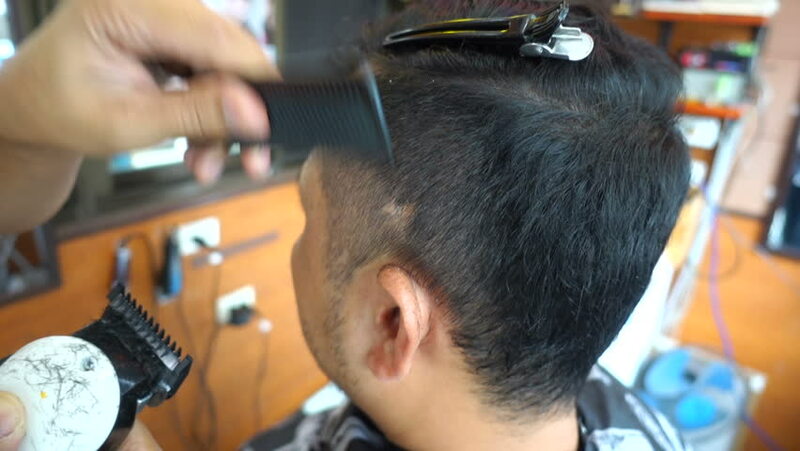 Hairdresser using trimmer in barbershop. Happy cute kid sitting on the chair in hairdressing salon. 4k00:06Very concentrated female eyelash master is making eyelash extension to female customer. Close-up portrait. 4k00:18Close up of hairdresser's hands cutting short hair of middle aged man using a hairbrush and scissors. Back view. Tattoos on hands of barber. 4K.